"Through our Ice House event, we are able to raise awareness about this serious issue in a very visual and dramatic way, while providing the community with a fun and entertaining experience at the same time." 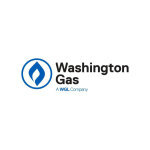 WASHINGTON--(BUSINESS WIRE)--For the second consecutive year, Washington Gas is joining The Salvation Army, Monumental Sports and Entertainment, NBC4, WTOP, The Washington Post and several other local area partners to hold a two-day WAFF Ice House fundraiser in Washington, D.C. Filled with activities for both kids and adults, including face painting and a thermal camera photo booth, the program features new attractions that will build on last year’s success in raising visibility about those in need during winter and seeking donations in support of providing heating assistance throughout the season. This year’s event will take place at The Wharf on District Pier located at D.C.'s Southwest Waterfront, and proceeds will again benefit the Washington Area Fuel Fund (WAFF), an initiative led by Washington Gas and the Salvation Army. WAFF is in its 36th year serving thousands of low-to-moderate income families in Washington, D.C., Maryland and Virginia who have difficulty paying their energy bills and are faced with the challenges of living without heat. 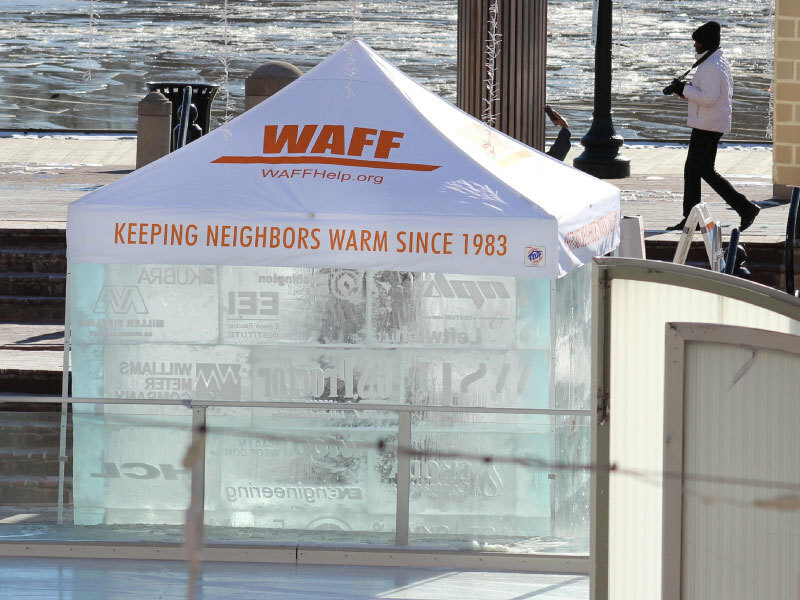 In 2018, the inaugural WAFF Ice House was effective in driving awareness about the thousands of families, senior adults and veterans who face cold conditions at home. The program attracted members of the community interested in ensuring neighbors have the comfort of warmth during colder months and raised generous donations with dozens of supportive companies, local organizations and philanthropic partners. By the end, the event generated $130,000 in funds, which included an average gift of $150 and 443 first-time donors. Total donations in 2018 enabled WAFF to provide essential heating assistance to more than 8,000 individuals throughout the region last year. 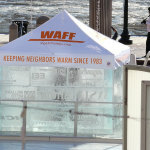 This year’s WAFF Ice House, which will be built on the District Pier at The Wharf from January 18-19, is a 10-foot by 20-foot structure made from 98 ice blocks designed and built by Ice Lab. By simulating the harsh environment of a home without heat, it draws attention to the cause and connects people to WAFF’s mission of distributing financial aid to those who would otherwise be forced to endure a cold home every day. The event will be open to the public from 2 to 8 p.m. on January 18 and noon to 8 p.m. on January 19. Local celebrities and executives of WGL companies are scheduled to sit in the Ice House for 30-minute intervals as part of the program’s highlights. The importance of assisting residents who cannot afford heating has intensified over the years with colder-than-usual winters in the Washington, D.C., area. Fewer than 2 in 10 people eligible for federal energy assistance actually receive it due to a lack of funds to meet the growing demand. In addition, families living in poverty spend more than 30 percent of their income on energy bills. WAFF bridges this assistance gap by making emergency funds available for those in need to help pay their heating bill. Because Washington Gas pays all administrative and promotional fees to operate the fund, 100 percent of all donations WAFF receives goes directly to heating assistance. Since its inception, WAFF has disbursed more than $27 million in energy assistance, serving more than 294,000 people, some of whom have shared their compelling stories. In 2018 alone, more than $1.4 million was disbursed to more than 8,000 people. As a result of AltaGas’ July 2018 acquisition of WGL, Washington Gas committed an additional $1.5 million funding over five years to be distributed through WAFF, expanding energy assistance support to more low and moderate income families. So far, more than 53 companies and individuals have raised $125,000 to support the 2019 WAFF Ice House. Program supporters include: The Salvation Army, NBC4, WTOP, The Washington Post, Monumental Sports and Entertainment, Transcanada, The American Gas Association, The District Wharf Community Association, Infrasource, MasterPrint, Ferguson Trenching Company, Accenture, ASD/SKY, Miller Pipeline, Pepco, WGL Energy, Edison Electric Institute, Northern Pipeline, Kubra, Leftwich LLC, Washington Gas Light Federal Credit Union, Bluestone Solutions, Precision Pipeline, LLC,, Henkels & McCoy, Skoda Contracting, SyApps, LLC, Utiliquest, Chemical & Engineering, Liberty Sales & Distribution, Rainbow International, MYTA Technology, and more. Washington Gas created the Washington Area Fuel Fund (WAFF) in 1983 in conjunction with The Salvation Army as its signature philanthropic program. Washington Gas pays for all administrative and promotional costs while The Salvation Army assists clients and manages the disbursement of funds through its 12 area offices. This ensures that 100 percent of all donations go to heating assistance. WAFF pays for all types of fuel. To make a donation or get more information, please go to www.waffhelp.org.